PHILADELPHIA – April 4, 2017 – Tickets for the inaugural PAX Unplugged, the analog-oriented extension to the international line-up of PAX events, taking place November 17-19, 2017 at the Pennsylvania Convention Center in Philadelphia, will go on sale Wednesday, May 3, 2017. Single day badges will cost $25, three day passes for will be available for $60 and Sunday Kids badges (for 6-12 year olds) will be $10 each. 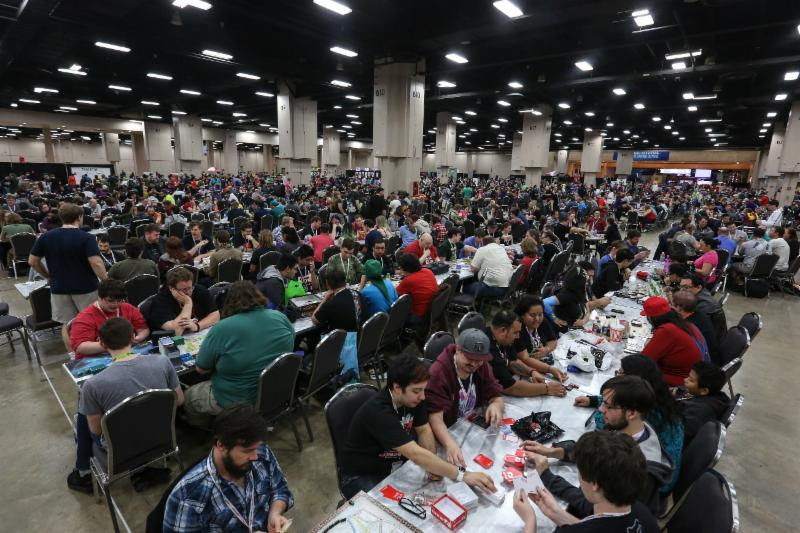 PAX Unplugged will provide the same experience that has entertained millions of PAX attendees, but with a focus on tabletop, card and board gaming. Attendees will have the opportunity to witness reveals of upcoming titles, play the most hotly anticipated unreleased games, participate in tournaments and go to panels headed by the industry’s top influencers and creative minds. While PAX Unplugged will focus on tabletop gaming, videogames featuring board or card game elements will also be at the expo.